Planning and development updates are posted regularly on our news forum as information comes up. Check us out by going to hsca-community-planning.mightybell.com. You can sign up for Mightybell free and self-subscribe to the developments and initiatives you are interested in by clicking on “circles” on the HSCA button on the top right-hand side to see the current list. Ezra on Riley Park at 1234 5 Ave on the southern boundary of Riley Park and to the east of the HSCA will include 100 residential units spread over two buildings and has a height of 8 storeys (26 metres). The Palfreyville condo building at 214 9 St (near Vendome) will have 19 units at 4 storeys (15.4m). The Lido at 144/148 10 St is a mixed-use building with commercial, boutique hotel suites and 69 residential units at 8 storeys high (26m). The Kensington across the street at 233 10 St is another mixed-use commercial building that contains 75 residential units and 2 live/work units on the laneway at 6 storeys (20m). The Aurora on the Park building at 832 10 St near McHugh Bluff is nearing completion – this building will house 25 formerly homeless Calgarians with disabilities. The new building is 4 storeys (14.8m) high. Truman has applied to rezone the site at 922, 926 & 928 Memorial Drive from M-CGd72 to a Direct Control District. Additionally, the applicant seeks to amend the Hillhurst Sunnyside Area Redevelopment Plan and be able to increase the allowable height under the current Land Use District from 12 metres to 20 metres and to increase the allowable density from 7 units to 39 residential units at a Floor Area Ratio of 3.35. This development will replace three single-detached dwellings with a 5 storey single condominium building. Including the mechanical structure and rooftop amenity space, the building will be 6 storeys high. Minto Communities has submitted a new Land Use Amendment (rezoning) application and ARP amendment to increase the height and density from M-C2 (currently allows for a 4-storey building) to a Direct Control district based on M-H1 (to allow for a 26 metre or 8-storey building with approximately 70-90 condo units). Minto is requesting the 26m height to match the allowable height on the lots to the south and slightly west of their development site, which is the same height/density as their other approved condo project at 327 9A Street. The Development Permit (or plans for the building) are expected to follow. Please go to www.mintoengagement.com for more information. Because the applicant is requesting a change to bylaw, they will need approval from City Council. At this stage, the City Planning Department is taking in comments from affected parties to inform its recommendation. If you would like to provide your feedback, please contact the City File Manager at Steve.Jones2@calgary.ca or call 403-268-2523 and fill out the form on the developer’s website (above). This is a new development proposal for 916-926 2 Avenue NW. The developer is applying for a Land Use and Area Redevelopment Plan amendment to allow for a 6-storey building with stepbacks as a Direct Control district based on M-H1. The current zoning is M-CGd72, which allows for lower profile multi-residential (12m). The ARP allows for buildings of 16m/4 storeys. They are expecting to submit their application to the City of Calgary soon and will hold public engagement in the near future. This is a new proposal Minto Communities that will replace 6 derelict single family homes on the west side of the C-Train tracks and will accommodate 104 units in a 26 metre (9-storey) building. More info at 321-331 9A Street Project on HSCA Community Planning. This project envisions 93 units separated into two wings in a 16 metre (5-storey) midrise building. This development replaces 13 single family homes. 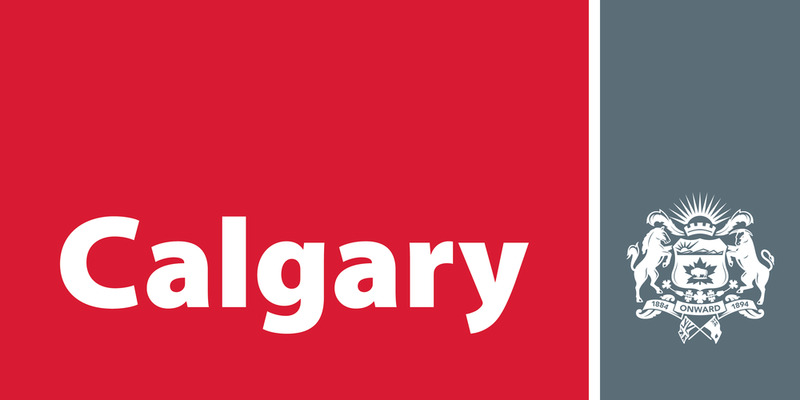 Visit the City of Calgary's website on the project. More info at Memorial Drive Multi-Residential Project on HSCA Community Planning. There is an active Land Use (rezoning) and Development Permit application on the Sunnyside Grocery site across the street from the Sunnyside Elementary School. The applicant is requesting a 4-storey modular building (14m) and 2.5 FAR to allow for 12 units and 2 smaller commercial spaces with 5 parking stalls. They are also proposing LEED-certified building with various design features such as top-floor setbacks, landscaping, public art, etc. Visit the City of Calgary's website at https://developmentmap.calgary.ca/#property/LOC2016-0079. More info at Sunnyside Grocery Redevelopment Project on HSCA Community Planning. This is a City of Calgary-owned parcel that has been stated for an affordable and mixed-market housing development in the future. The parcel is currently being used by the HSCA and Springboard for community activities. Do you have any ideas about what should go on the site? Contact Susan.Sanderson@calgary.ca to provide your input to the City! Visit the City of Calgary's website at www.calgary.ca/sunnyside-triangle. More info at Triangle Site Affordable Housing Development on HSCA Community Planning. This is a major redevelopment proposal in nearby West Hillhurst. Site #1 includes a new 4-storey building (21m) for the Legion/offices and a mixed-use 8 storey (31m) terraced and stepped back building for Site #2, which will add commercial amenities and 210 residential units to the site. The Development Permit application for the the two buildings have been approved and construction is currently underway on Site #1. Visit the City of Calgary's website at www.calgary.ca/legion. More info at Kensington Legion Redevelopment Project on HSCA Community Planning. The HSCA invited feedback from residents on what they would like to see on the CBC site if it were to be redeveloped in the future (November to December 2016). The below report represents our feedback summary, methodology on how the information was collected, and includes concerns or opportunities as identified by those most affected by this development. This information is available for public viewing and has been shared with our community stakeholders, the City of Calgary Planning Department and those who have requested it from the HSCA. This is a major project that is located on the northeast corner of 8 Ave & 14 St and is bounded McHugh Bluff on the north side and the Agape Hospice on the west side. The owner is looking to submit applications to amend the Area Redevelopment Plan and to rezone the site. A multi-stakeholder group has been formed to work on this major development in our community; this project is on hold at the moment. More info at Grace Hospital Project on HSCA Community Planning. This is a potential development on the triangular block that contains the blue LifeSport building (formerly the Hillhurst Baptist Church) and excluding the two single family houses on the west end of the block. The applicants are interested in preserving, upgrading and legally designating the church building as a heritage resource, however are requesting additional height and density on two new mixed-use residential/commercial buildings on the site. More info at LifeSport (Hillhurst Baptist Church) Site Development on HSCA Community Planning. Sign up for updates on our online news forum. Residents can read more and make posts about the various development activities in the community. Type in bit.ly/hscaplanning in your internet browser to get to the community planning website. Follow us on social media. Add us on facebook.com/hillhurstsunnyside and www.twitter.com/hillhurstsunny. Regular newsletters. Sign up for our bi-weekly email newsletter at hsca.ca and tick off the topics you are interested in, or pick up a copy of the Voice, our monthly print newsletter. Join our monthly meetings. We meet on the second Tuesday of the each month from 7-9pm at the HSCA. We hope to see you there! Would you like to contact us or volunteer for the Hillhurst Sunnyside Planning Committee? Send an email to the planning committee c/o Lisa Chong, Community Planning Coordinator at lisa.c@hsca.ca.